A Sandlick man was arrested after a high-speed chase that ended when his vehicle slid off the road while attempting to make a turn, and then allegedly rammed a Whitesburg Police car. Eddie Sandlin, 41, of 44 Marlowe Road, was charged with receiving stolen property ($10,000 or more, first-degree fleeing or evading police in a motor vehicle, first-degree fleeing or evading on foot, first-degree wanton endangerment of a police officer and resisting arrest. The incident occurred shortly before 1 p.m., February 1, when Whitesburg Patrolman Jordan Clemons saw a black Chevrolet Silverado pickup truck coming down Whitco Hill into Whitesburg with no rear bumper and no license plate. Clemons wrote in the citation that he pulled into traffic one car behind the truck at the red light at Medical Plaza Lane. Clemons said the truck was in the right lane and he thought it was going to turn on the bypass, but when the light changed and the vehicle started up the road, it abruptly cut into the left lane, went through the signal at the bypass, and then turned left on KY 931 North. Clemons said he turned on his lights and siren, and the pickup sped up and led him on a chase at speeds of up to 80 miles per hour along the two-lane road, and then attempted to make a left turn on Thompson Branch. Clemons said the truck was going too fast to make the turn and nearly hit a white block building at the intersection. He said the driver attempted to come back onto the road, but skidded in the wet grass, and the truck turned all the way around. He said he stopped his car in the road, and saw the driver duck down behind the dash and the truck surge forward, striking his patrol car in the front. Clemons said he exited his vehicle as the driver of the truck attempted to push it backward, his tires spinning in the mud. Clemons said the driver jumped out and ran around the truck as he attempted to Tase him. He said the man then ran up the hill with Clemons pursuing him on foot. As the man ran into the creek, Clemons said Whitesburg Police Chief Tyrone Fields drove up the left fork of the hollow and “made contact” with the man, who immediately laid down on his stomach with his arms and hands under him. Clemons said Fields was still struggling with the man to get his arms and hands out from under him when he arrived. According to the citation, Clemons found a syringe in each of the man’s two jacket pockets. He wrote that Sandlin was complaining of rib pain and was taken to the Whitesburg Hospital emergency room, where he was treated and released. Clemons wrote that during a search of the truck, police found several watches, one of which appeared to have diamonds around the face, a zippered wallet with gold and silver jewelry inside, and a Crown Royal bag filled with change. 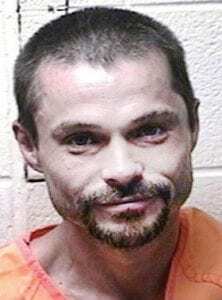 Sandlin was still being held in the Letcher County Jail on Tuesday evening.